Access the Manage Templates section in the Admin Settings to create and manage all custom templates. Base template are the standard templates that are loaded in the system and can't be edited or deleted. To create a new template that is specific for your company, use the "copy to new" function of an existing template to create a new template. 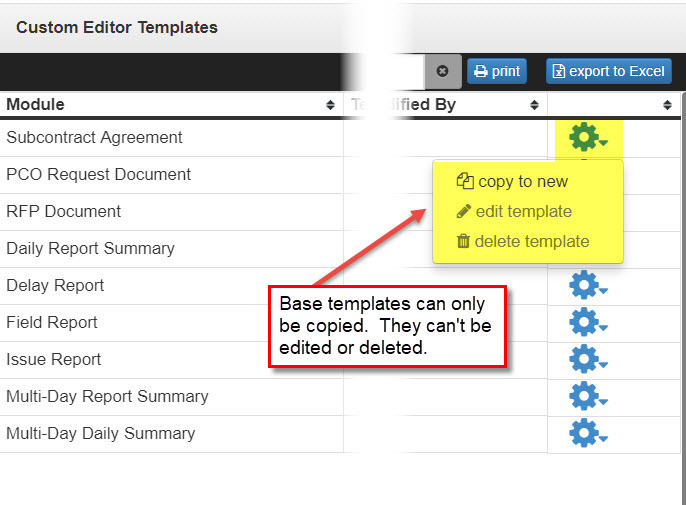 If a user has the ability to select a template when creating a document, they have permission to manage the templates.